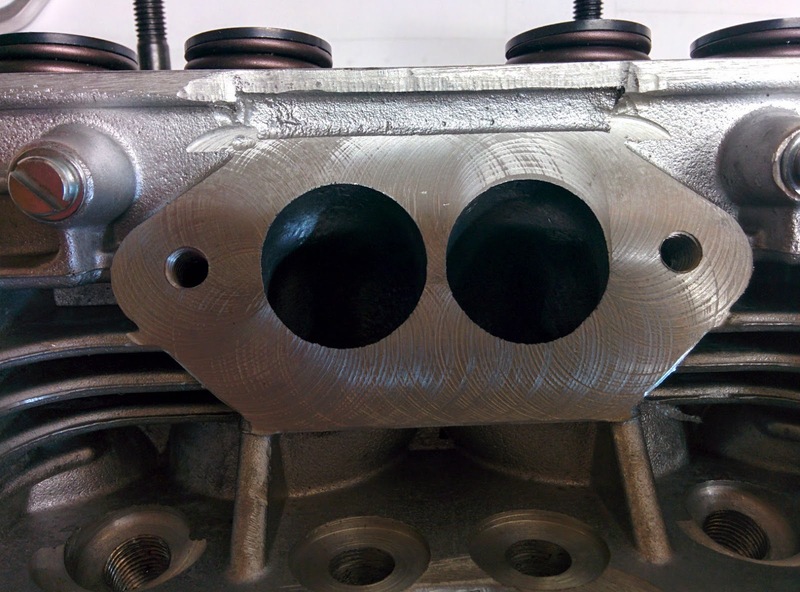 Washed and cleaned the engine and masked off all open and machined places. I also planned to paint it today using Auto-K engine paint. According to the web page at Mekonomen the paint is supposed to withstand 200 deg C, which should be more than enough for the casing, and I went down and bought 2 cans. But, I couldn't find any technical data sheet for that particular paint, and that was odd. The German site for the producer of the paint has a different paint, different part number, and didn't even have this "engine paint". Did some more research and found that Hagmans is the producer of "my" engine paint. According to the technical sheet there, the paint is only rated to 100-120 deg C, not 200 deg C. This is really annoying, paint is different and produced by different producers depending on where you live !!! Hagmans is a reputable brand, but "engine paint" reaching only 100 deg C ? I find this very strange, when the "original" paint from Auto-K is 300 deg C, and where does this faulty 200 deg C come from? Now I'm not sure what kind of paint I will get. "Barbecue black", the "brand" Sonex themselves are using, is readily available, but I'm not too found of flat black, everything just becomes too dark too see. 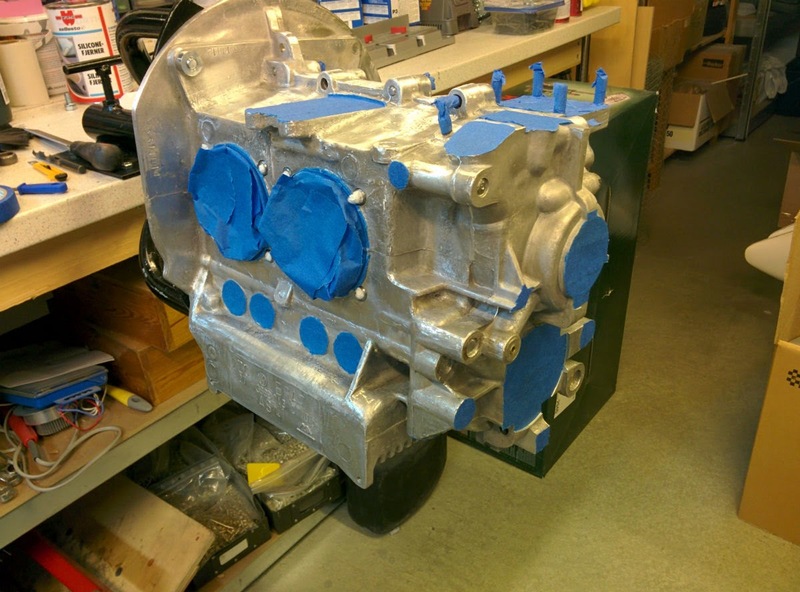 Biltema has some OK engine paint apparently, but is it really any good? 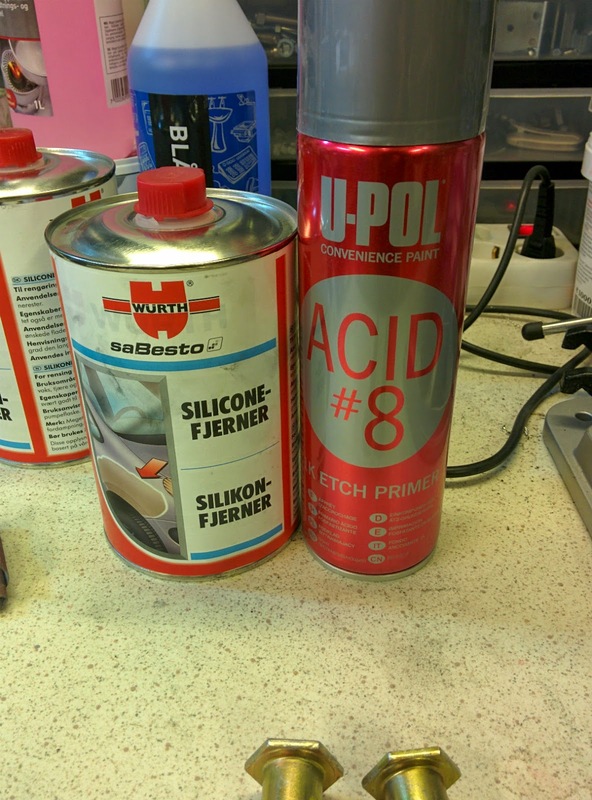 Silicone remover from Würth and Acid #8 from U-Pol (etch primer). They just work and the result is first class. 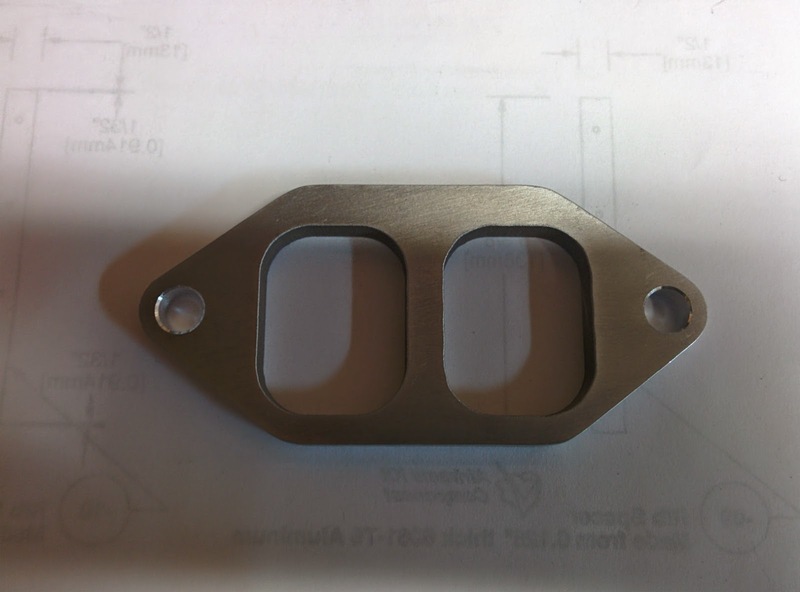 I have ordered some boxes with gray 2K polyurethane to put inside the cockpit, I hope it works out well. I will find out during the next few days. This paint is industrial PU paint that Norbond fills up in rattle cans just before shipping. They must be used before 3-4 weeks. Painting the outside of the AC is something I just have to start planning. My experimenting with rolling polysiloxane didn't really work out, impossible to get a smooth finish, and the polysiloxane cannot be polished (it gets white/flat and ugly). But now I have read about hobby car painters getting good results with Biltema polyurethane boat paint, spray and also with rollers. I have to try that, polyurethane sure can be buffed and polished, and I have heard nothing but good tales from boat owners using Biltema PU (even if some of their other paint is less than optimal). The AeroVee engine parts made me scratch my head in disbelief today. 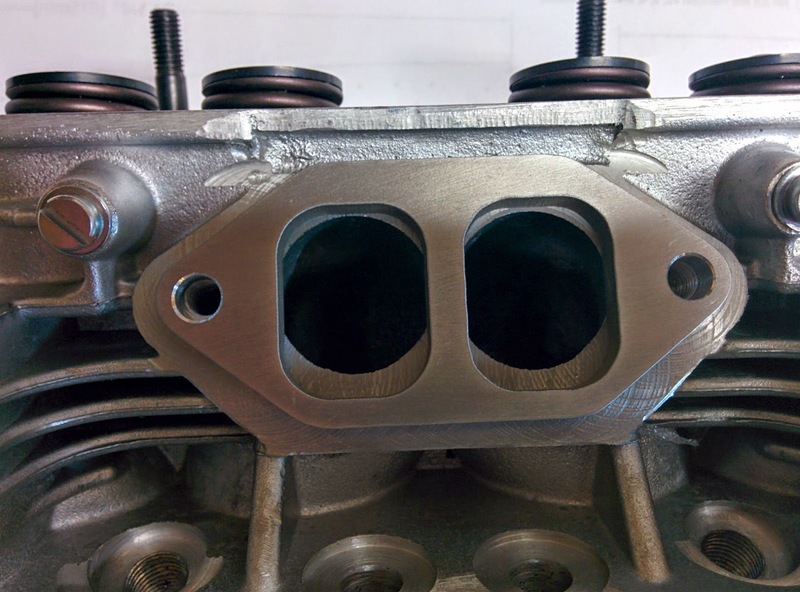 The manifold enters the engine in two square channels. The engine on the other hand has two round channels. Why? this is simply unbelievable.